Best of all, this survey isn’t going to cost you a penny! And it won’t cost KPA anything! 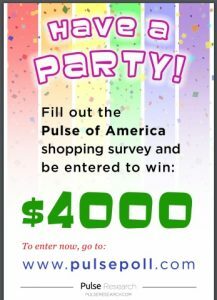 Each newspaper (publisher and ad manager) received an email from me about three weeks with information about Pulse Research’s PULSE OF AMERICA nationwide online survey. And part of that nationwide survey is the PULSE OF KENTUCKY. You are being asked to run ads notifying your readers of this opportunity and you are being asked to put provided online ads on your website and social media opportunities. The ads will direct your readers to the polling website. Pulse Research will then collect and collate all the readership study information for Kentucky and make it available to KPA in mid-January. Those newspapers who mail me a copy of a tearsheet proving the ad was run, or a screen shot showing the ad on a website page, Facebook Page or other offering, will each receive a copy of the full survey results. But only those willing to promote the survey will get the results.